The official trailer for the long awaited Gilmore Girls' four part series, Gilmore Girls: A Year in the Life was released today, and I, for one, am too hype about it! 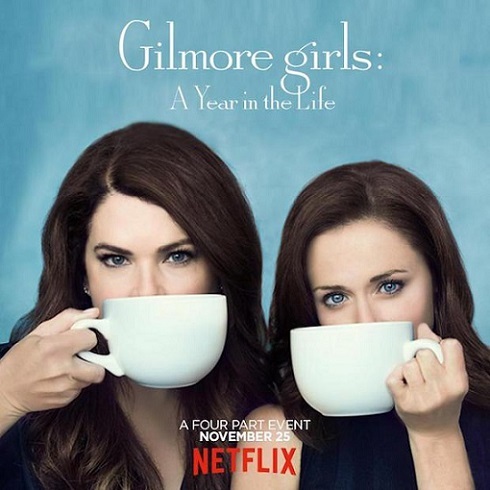 In the trailer we see mother-daughter duo Lorelai and Rory Gilmore (Lauren Graham and Alexis Bledel) in Stars Hollow, still eating a bunch of junk and exchanging witty banter. However, now they are in completely new phases of life, especially with the passing of family patriarch Richard Gilmore (Edward Herrmann, who, in real life, passed away in 2014). But we get to see the rest of the old gang from the original show, including, hallelujah, Melissa McCarthy, in all her glory back as Sookie! The four-part series airs on Nov. 25 on Netflix. Which is perfect because it's the day after Thanksgiving. I'm grabbing some leftovers and locking myself away all day to binge. Mind made up. Will you be watching Gilmore Girls: A Year in the Life?